Cliff Edge Wines is a small single vineyard on a cliff top at the end of the Awhitu Peninsula with views over the Manukau harbour. Here, the Seagar family grows Merlot and Cabernet Franc grapes, which make for a zing, crisp, coral pink rosé and a top-notch spicy Bordeaux style red. It wasn’t really the plan to own a family-run vineyard. But on their hunt for a retreat away from the city, Vicki and Chris stumbled upon this one-hectare site at the top of the Awhitu Peninsula. The land contained a little over an acre of Merlot and Cabernet Franc (70/30%) grape vines plus a superb house site. And then there was the Manukau Harbour. 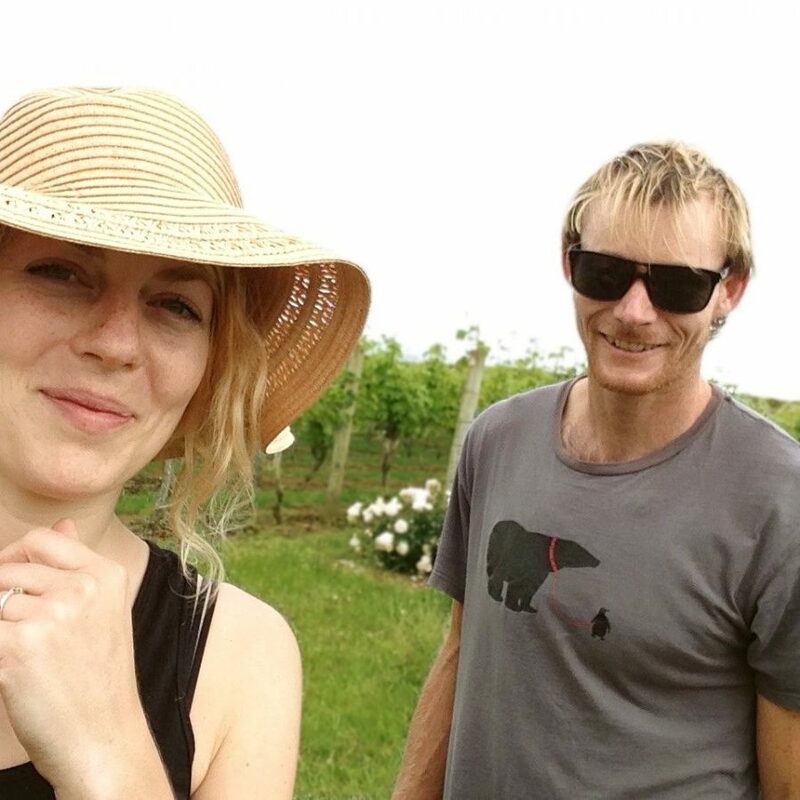 They fell in love with the view and always had a natural interest in wine, so why not become vineyard owners? They decided to go for it when they tasted the lovely wine, at that time bottled under the label Miller’s. The then­-owner Craig Miller (who is now devoted to making coffee) was very happy to sell to people so passionate and enthusiastic about wine. He decided to teach Chris, Vicki and their four boys the tricks of the grape growing trade. Today, the family commutes between Auckland City and Awhitu. Many hours are spent pruning, leaf plucking, thinning out bunches, weeding, composting, gardening and cooking with the day’s harvest from Ben and Vicki’s veggie patches. It is a truly family-run vineyard: every member plays their part. When it’s time to harvest, a whole bunch of family friends drive down to help pick the grapes. Or do they come to enjoy Vicki’s famous harvest lunch? Whatever the reason, when the grapes are picked, the boys drive them down to Pleasant Valley Wines. Here, winemaker Lee Winston takes care of the rest in the cellar. The then­-owner Craig Miller (who is now devoted to making coffee) was very happy to sell to people so passionate and enthusiastic about wine. He decided to teach Chris, Vicki and their four boys the tricks of the grape growing trade. Today, they commute between Auckland City and Awhitu. Many hours are spent pruning, leaf plucking, thinning out bunches, weeding, composting, gardening and cooking with the day’s harvest from Ben and Vicki’s veggie patches. 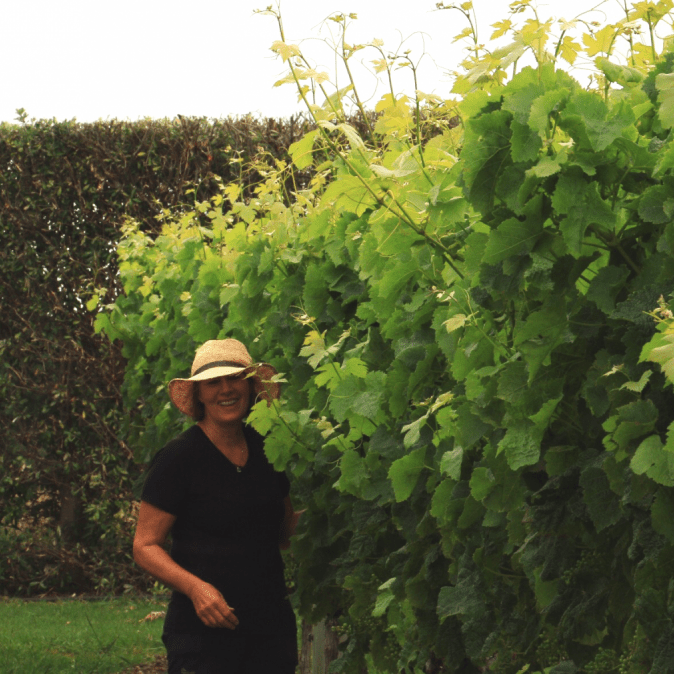 Cliff Edge is truly a family-run vineyard: every member plays their part. When it’s time to harvest, a whole bunch of family friends drive down to help pick the grapes. Or do they come to enjoy Vicki’s famous harvest lunch? Whatever the reason, when the grapes are picked, the boys drive them down to Pleasant Valley Wines. Here, winemaker Lee Winston takes care of the rest in the cellar. Vicki is the gardener of the family, although she and Ben have a bit of a vegetable-growing competition going on. She divides her time between the vines and flower beds, and loves to collect pieces that complement the French country style feel of the house. Her harvest lunch is the main reason friends want to help pick the grapes. This year Chris finally managed to get his own shed – or man cave – at the vineyard. It is equipped with tools, a work bench, comfy chairs, fridge and fireplace. He loves to ride the tractor and sells the wine like no other, as he is the label’s first and foremost fan. An ordinary day is just so much better with a good glass of Cliff Edge. 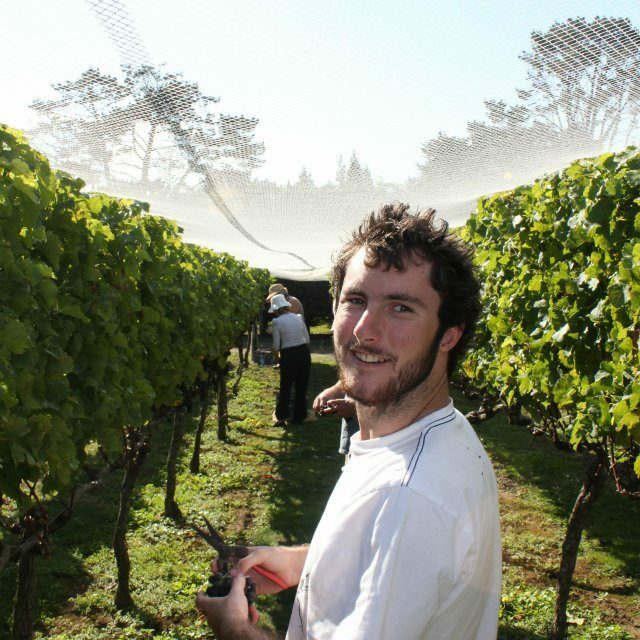 Ben, the eldest son, actually used to work as a winemaker. Now he has made it his job to grow healthy, juicy grapes in the most natural way possible. He also handles the wine orders, and designed the labels. Girlfriend Hedda gives him a hand in the vineyard wherever she can, and she looks after the Cliff Edge website. Most of the time Dan is busy running his gardening business in Auckland. But when needed, he drives down to the peninsula to help put the nets on, maintain the hedges or trim the palm trees. Josh is in charge of mowing the lawns – and there’s lots of them! He loves to run around with the by-far most popular member of the family, golden retriever Monty, and sometimes brings friends over for a big barbecue. He studies in Christchurch, so Harry’s time at the vineyard is limited. But when he’s there, he wanders around with his camera to take some epic photos. Only after he has finished helping his mum, of course. 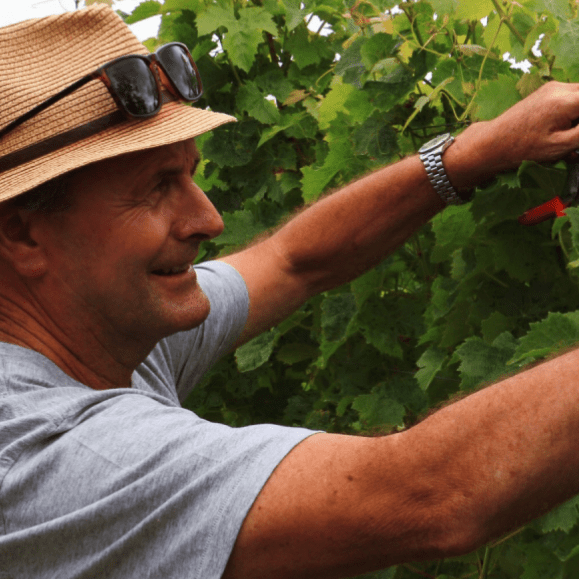 The Seagars have now produced nine vintages of Bordeaux-style wine at the family-run vineyard. They are obviously very proud of the five stars in Michael Cooper’s Wine Guide for the 2010 red. Since 2011 they also make a crisp, dry, coral-coloured rosé out of the same blend. 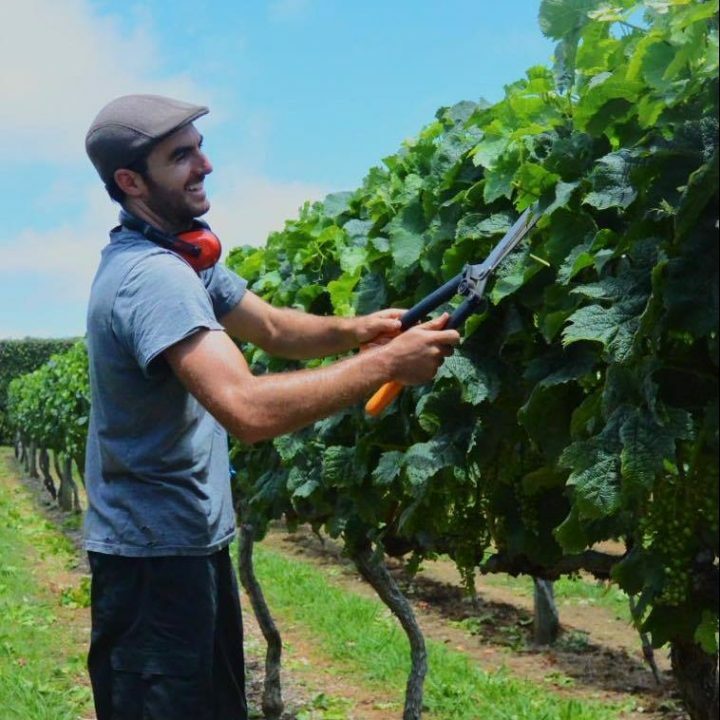 Great Little Vineyards represents the label, and Cliff Edge wines are served in some of Auckland’s top restaurants like Cazador, Harbourside, MASU, and Odettes. The next step will be for us to open a cellar door so you can visit our vineyard and taste the wine from as close to the source as possible. We hope to have it up and running by the end of summer, 2018. We also dream of opening a family-run vineyard restaurant at the site, although that might take a bit longer because family chef Ben is currently busy experimenting with new techniques to grow the grapes in the most natural and sustainable way possible. The Seagars have now produced nine vintages of Bordeaux-style wine at the family-run vineyard. They are obviously very proud of the five stars in Michael Cooper’s Wine Guide for the 2010 red. Since 2011 they also make a crisp, dry, coral-coloured rosé out of the same blend. Great Little Vineyards represents the label, and Cliff Edge wines are served in some of Auckland’s top restaurants like MASU, Cazador, Harbourside and Odettes .